Academia Sánchez-Casal (ASC) at 2035 Sánchez-Casal Way is hosting this year’s Les Grandes Dames JoAnne Russell Cup through February 24. This year’s event was awarded new status as USTA SUPER CATEGORY II and features approximately 80-plus players in thirteen age divisions ages 40 through 80 that include singles and doubles play. On Friday, February 23 the match of the day will be played at 4pm with tournament specials and cash bar open the public. Finals will be played on Saturday, February 24 from 9am on. 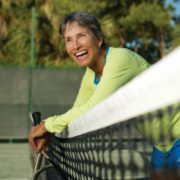 1977 Wimbledon Women’s Doubles champion and tournament namesake JoAnne Russell and her doubles partner Terry Solins will defend their title in their age group. In the finals last year Russell/Solins defeated Foulk/Savitt 2-6, 6-0, 6-1. 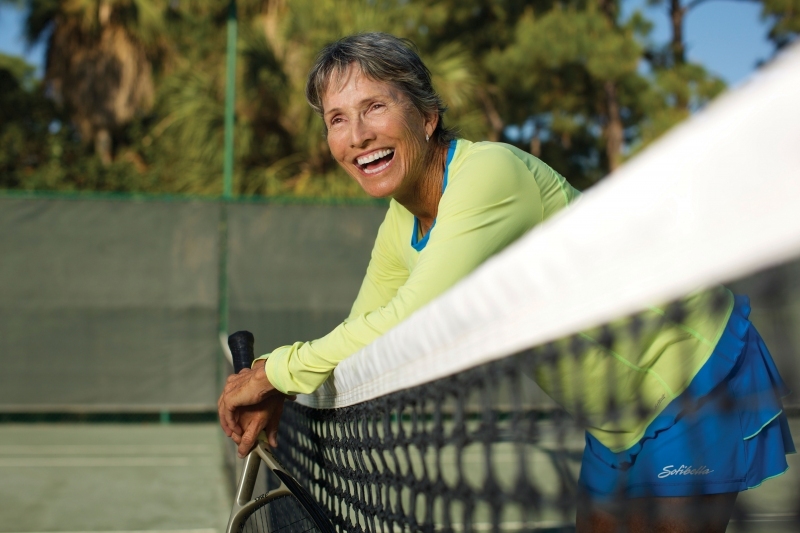 JoAnne is a true ambassador and advocate for tennis who lives in Naples year round. We are very fortunate to have a gracious champion in our midst. Her commitment, positive energy, passion and love for tennis is always evident. Not to mention her infectious smile. JoAnne and her partner Helen Gourlay Cawley won Wimbledon Women’s Doubles in 1977 winning the first round against Chris Evert and Rosie Casals then winning the final against Martina Navratilova and Betty Stove 6-3, 6-3. ASC is a 38-court facility (35 clay and 3 hard courts), along with a state of the art fitness center, complete boarding facilities and a staff directed by top Spanish, US and International coaches, all trained under the Academia Sanchez-Casal system and philosophy. For local residents, ASC offers private membership to the ASC Club that includes complete access to the social center that includes an Olympic size pool, full gym and social and tennis year-round activities. Please call 239.263.1818 for more information.